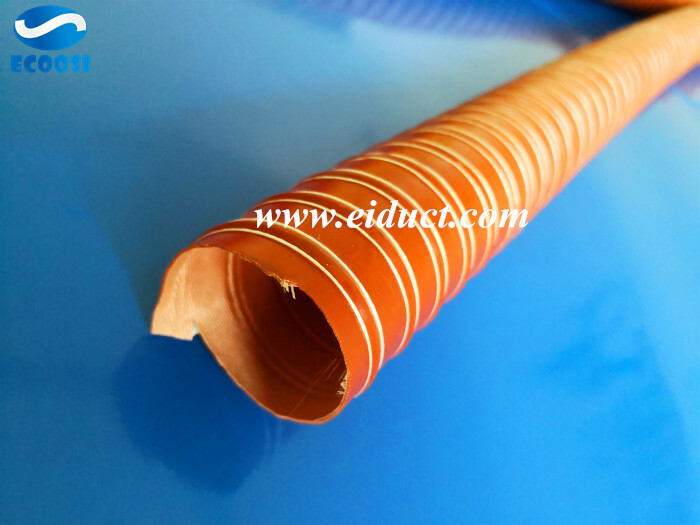 Flexible red silicone air duct hose from Ecoosi Industrial Co., Ltd.
Silicone ventilation duct hose from Ecoosi Industrial Co., Ltd.
Ecoosi high temperature silicone flexible air ducting hose produced by combining glass fibers into silica to provide air ducting hose with flexibility and high temperature resistance. 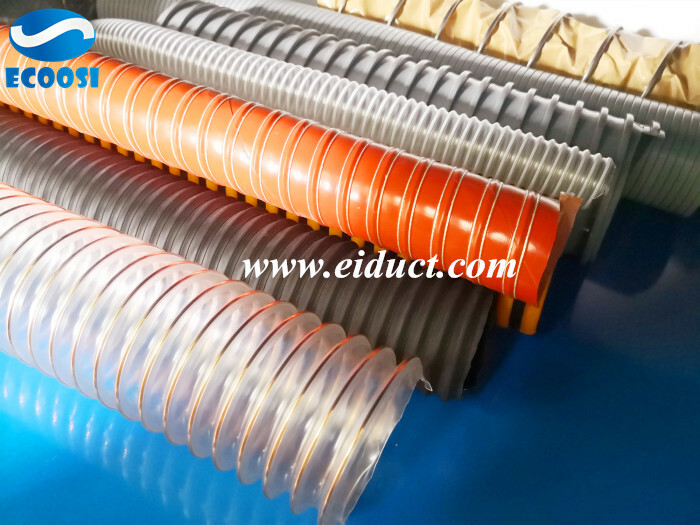 What is high temperature silicone 2ply air ducting? 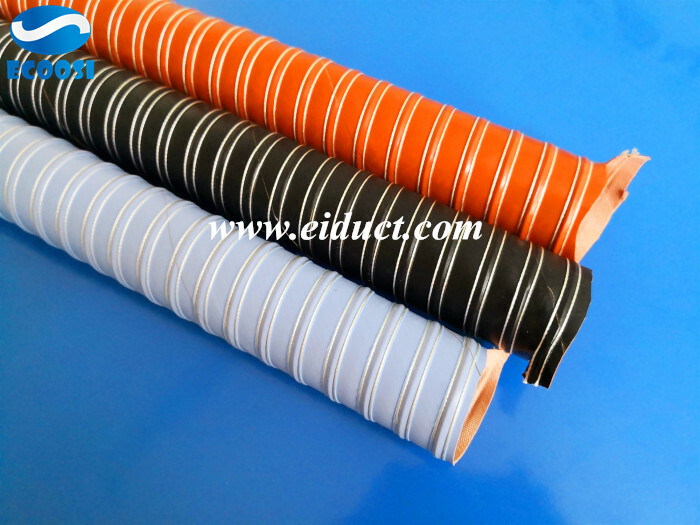 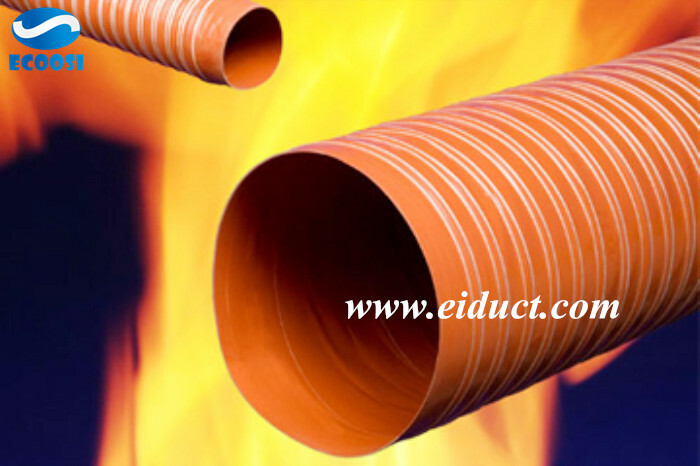 Ecoosi high temperature silicone 2ply air ducting is the most common ventilation and exhaust ducting hose in modern industrial production. 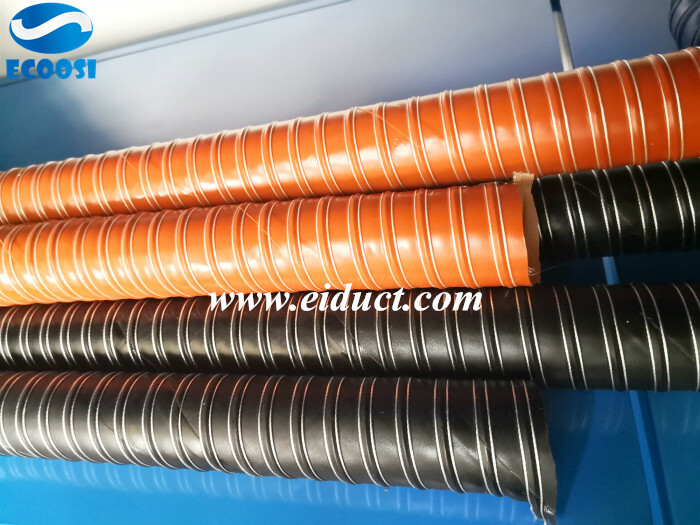 Red and black flexible silicone duct hose pipe from Ecoosi Industrial Co., Ltd.
Ecoosi manufacturing red and black flexible silicone duct hose pipe, this silicone duct hose very flexible and resistant to very high temperature up to 300 degress, it is ideal for hot air and cold air transport. 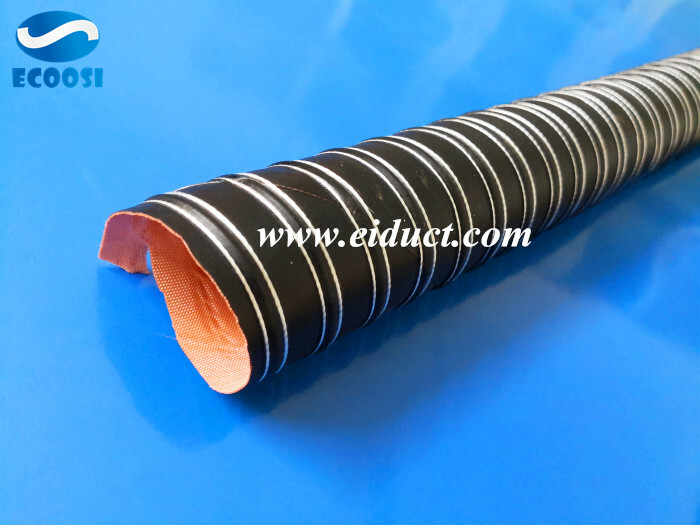 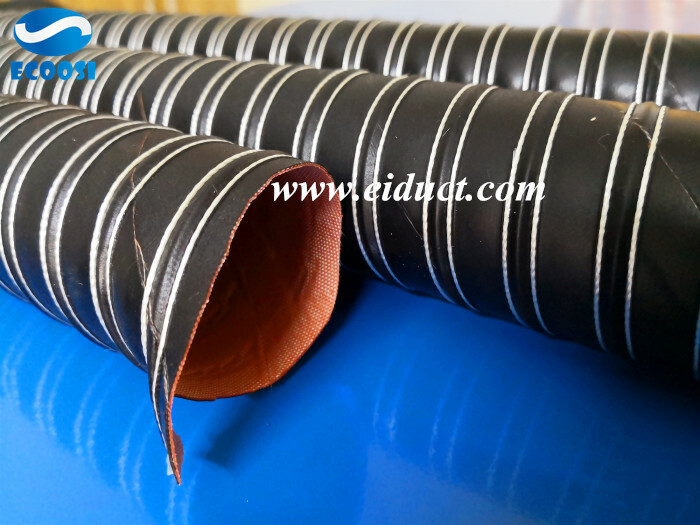 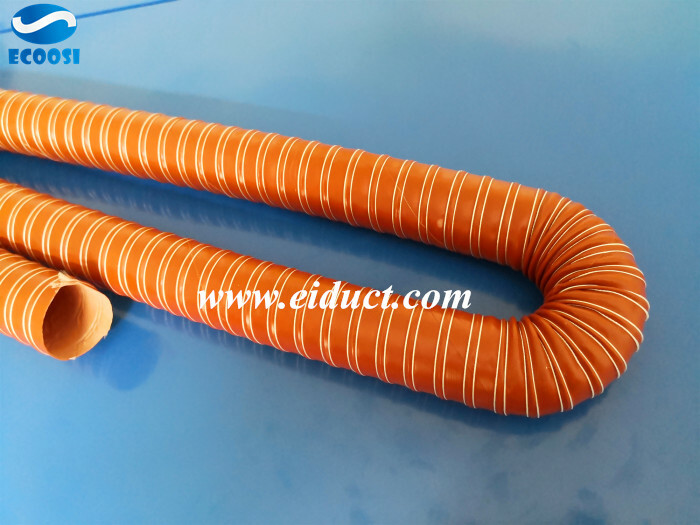 Flexible hose from Ecoosi Industrial Co., Ltd.
Silicone brake cooling air duct hose from Ecoosi Industrial Co., Ltd.
Ecoosi Silicone brake cooling air duct hose is a ventilation hose that ideal for transfer cold and hot air. 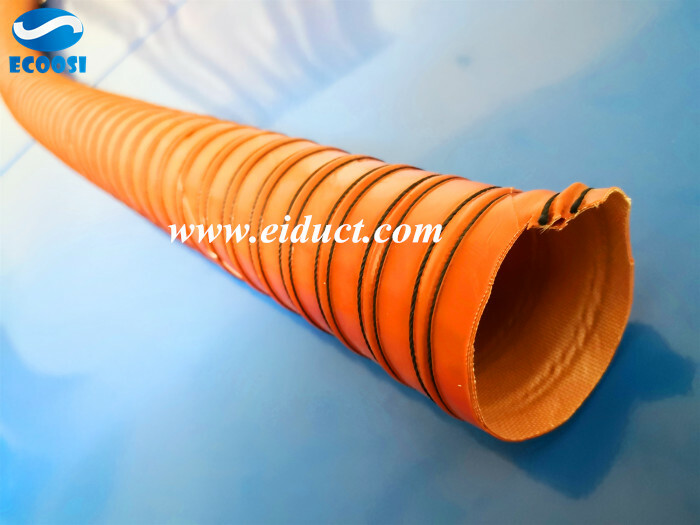 This brake cooling air duct hose is designed to direct air from front mounted air ducts to spindle ducts for brake cooling. 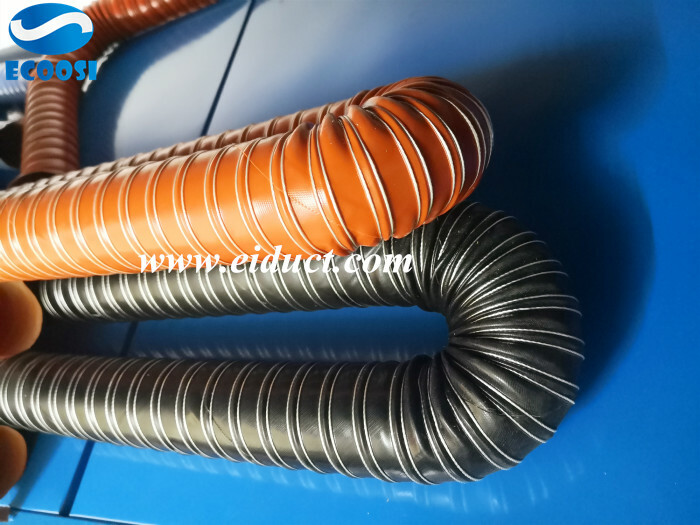 Silicone brake cooling air ducts hose is a high temperature duct hose which could resistant to 300 degrees，especially suited for high temperature air handling applications.